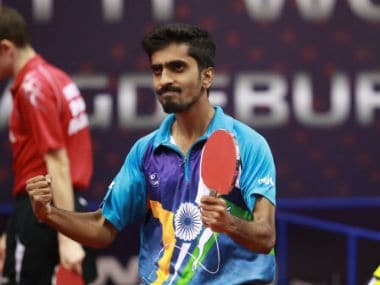 Ahmedabad: The ITTF-ATTU 30th Asian Cup finals at the TransStadia threw up two new champions on Sunday, both from China, as Lin Gaoyuan won the men singles title and Zhu Yuling took the women singles crown home. In addition, they also received $7,000 each in cash, the winner’s purse. But the biggest bonus for both was the instant World Cup berths. Lin defeated compatriot Fan Zhendong, twice finalist, 4-2 but it was the women final between Zhu Yuling and Liu Shiwen, four-time winner, that brought the packed stadium down with the din created by the audience on a day India was playing Australia in the first one-dayer at Chennai. Zhu won 4-3, the match lasting 75 minutes. For the fans of India, especially the ones from Ahmedabad, it was a real feast served on a pltter with a variety of Chinese spread. 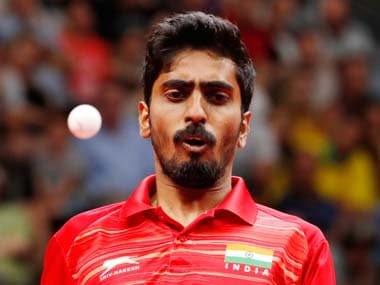 In the men final, top-seed Fan was the favourite to win but the 20-year-old failed to raise his game against a more determined 22-year-old, who was making his maiden Asian Cup appearance. Matching stroke for stroke, the left-handed Lin played percentage game and drove well with fewer negative give-aways as compared to his rival, a former junior world champion. Unlike the women singles final, this one saw fewer rallies as the two preferred to go for the kill at the first opportunity. Fan did try his best to level the game 2-2 but once Lin went 3-2 up, it was a mere formality for him to finish off in style. The fast-paced women singles final with full of long rallies was one of the finest in recent time. The top-seeded Liu, with four Asian Cup title wins to her credit, was in some discomfort despite beginning well. But she slowly clawed her way back with precise backhands and equally effective forehands to make it three games apiece. The fourth game win at 12-10 looked like giving her the confidence but the next one went the way of Zhu. In the decider, Zhu held five match points and playing close to the table, she tackled everything that was sent back to her. Of course, a couple of negatives from Liu too helped her inch closer to victory. In the end, it turned out be an anti-climax when the 22-year-old served for the Asian Cup title point as Liu’s return escaped the edge much to the elation of Zhu. For records, this was the sixth occasion when the second seed, who is world No. 3, had beaten the Liu, world No. 3, in their 13 meetings so far. Thus, she also snatched away Liu’s fifth shot at the crown. Left-handed Ishikawa didn’t throw in the towel after being down 0-2. Showed a lot of patience and believing in her experience, the 24-year-old played the match the hard way and conquered Miu Hirano, the only Japanese to become the Asian Champion. In fact, Ishikawa’s deep returns coupled with her proper exploitation of the angles added meat. Yet, the 17-year-old world No. 6 fought back well to make it 3-3. In the decider, Ishikawa ran away with a sizeable lead and held four match points. All that Hirano could do was to bring them down but couldn’t stop Ishikawa from winning 4-3 and booking her World Cup berth as the third player. Like the women singles third position match, the men singles fight, too, was between lefthander Chen Chien-An of Taipie and right-hander Lee Sangsu of Korea and this time the right got it absolutely right, winning the bronze with a 4-2 verdict and getting World Cup ticket as a bonus. Sangsu was aggressive and in a hurry to finish off while the Taipei southpaw was unable to hit the groove as his rhythm going haywire. Cashing in on, the Korean surged with a 2-0 lead before Chen arresting it momentarily when he won the third game 12-10. 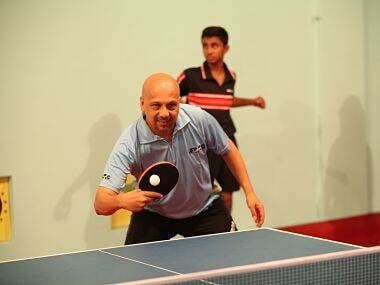 But Sangsu pounced on the opportunities very early and thwarted all possible threats emanating from the left-hander. Women: Final: Zhu Yuling (CHN) bt Liu Shiwen (CHN) 6-11, 11-9, 11-8, 10-12, 11-7, 11-13, 11-6; Third Position: Kasumi Ishikawa (JPN) bt Miu Hirano (JPN) 9-11, 7-11, 11-9, 11-8, 11-3, 9-11, 11-8. Men: Final: Lin Gaoyuan (CHN) bt Fan Zhendong (CHN) 11-7, 7-11, 11-4, 9-11, 11-5, 11-5; Third Position: Lee Sangsu (KOR) bt Chen Chien-An (TPE) 11-7, 11-7, 10-12, 11-3, 12-10.